After a brief hiatus from blogging, due to a wedding and a honeymoon, I am BACK! And I am more excited than ever to be bringing you daily updates from the backyard playground world. Today I want to take you back to the basics. Sometimes finding a play set for your kids can be difficult. Do you have enough space? Will the play set feature activities that your kids will love? What age range do the play sets have? 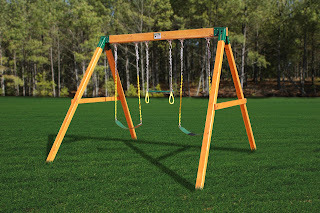 A simple solution is the Congo Free Standing Swing Set. While it may not feature slides or climbing holds, the simple swing set is a great option when you just aren't sure what play set is best. Kids absolutely love swinging! 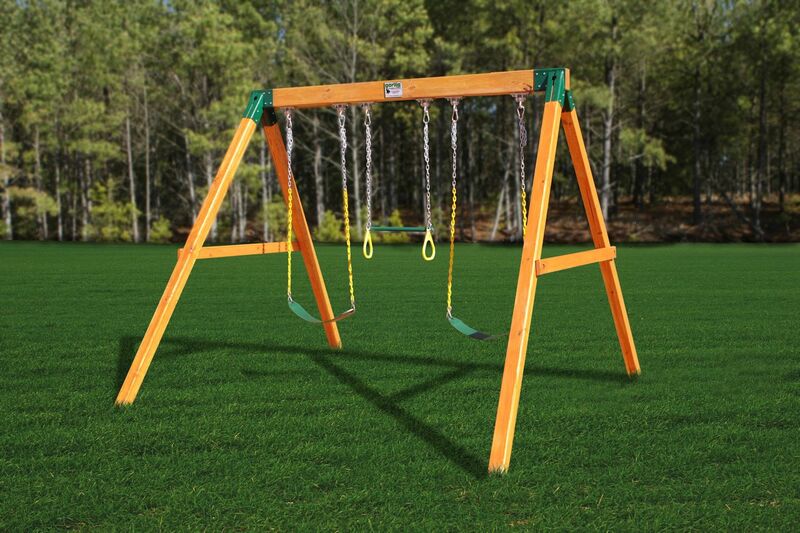 And the classic swing set appeals to a wide age range, meaning your kids will get the most out of this swing set. I had a simple swing set growing up and it was always fun to go outside and swing! Sometimes I'd take a book outside and just sit on the swing seat, rocking back and forth a little, just to be outside. Even as an adult I think it is still fun to swing!